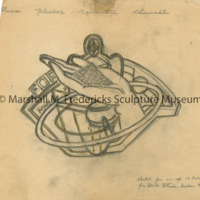 Study for one of the sixteen fiberglass polyester resin laminate reliefs for the Ford Rotunda, Dearborn, Michigan depicting industries related to the manufacture of automobiles. 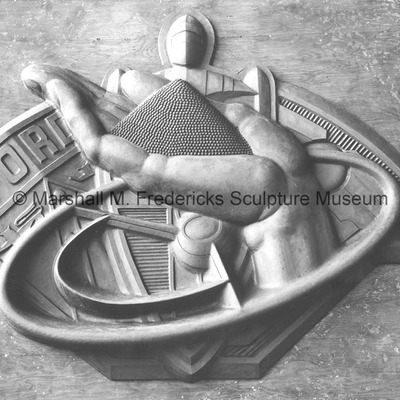 The sixteen reliefs won the Gold Medal in Sculpture from the Architectural League of New York in 1956. Plasteline model for one of the sixteen fiberglass polyester resin laminate reliefs for the Ford Rotunda, Dearborn, Michigan depicting industries related to the manufacture of automobiles. The Ford Rotunda was destroyed by fire in 1962.